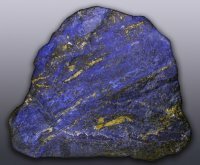 Tolo News: A suspected gem stone smuggler has said mines in Badakhshan’s Karan-o-Manjan district, especially those extracting Lapis Lazuli, are out of government’s control and are being mined illegally. The 43-year-old man said he takes them to Peshawar in Pakistan where he sells them. “If you go to Peshawar, you can see trucks full of these stones, that have crossed at Torkham because the stones cannot be transported by air,” said the smuggler. Click here to read more (external link). “rock bottom” on GLOBAL MARKET. It is, no doubt, the *God-given, greatest assets of all the people of Afghanistan- it was considered a religious stone by the ancient Egyptians and Mesopotamisns- and all through out the history has been cherished and admired as an object of true adoration at awe. preciously embraced by all cultures across all corners of the world- that is why I call it a real and truelly precious stone in its essence; it inspired all humanity as it made its epic presence on its long journeies across the world, all over, and in constant continuation of so many timeless years from the majestic high peaked mountains sides, right at the heart of the great continent of Asia. chemical composition of this extremely interesting stonel- it is geologically matchless as well; I mean it ! will definitely turn out into another epical scientific journey as a subject of great interest for inquiry, research and study. Its, seemingly-magical puzzle of awesome formation, is urgently needed to be delved, uncovered and presented to the whole world. THE STONE OF PEACE- which peacefully embraced by all.